Frustrated drummers everywhere now have a new and vaguely realistic videogame outlet, as the latest Taiko no Tatsujin game makes it to the west – for the first time since the PS2 days. 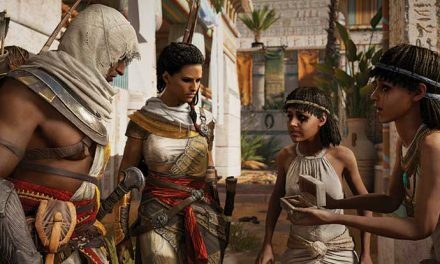 Hitting in different versions for PS4 and Switch, we’re looking at the latter here – and it has some Nintendo specific features that fans are going to love. 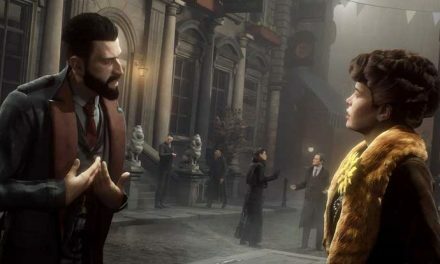 First things first, however – gameplay. 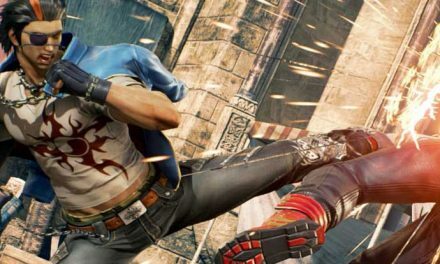 While the arcade machines had an actual drum attached, here you choose between using controller buttons, waggling your JoyCons in drumming motions through the air or – in handheld mode – or banging away via an onscreen representation of a drum. Sadly a taiko drum peripheral that’s available in Japan hasn’t been released here – and our old Donkey Konga bongos aren’t compatible. From our experience, while the motion route is the most authentic, it’s the least reliable. We ended up sticking with button input and romping through the game, grinning most of the way. 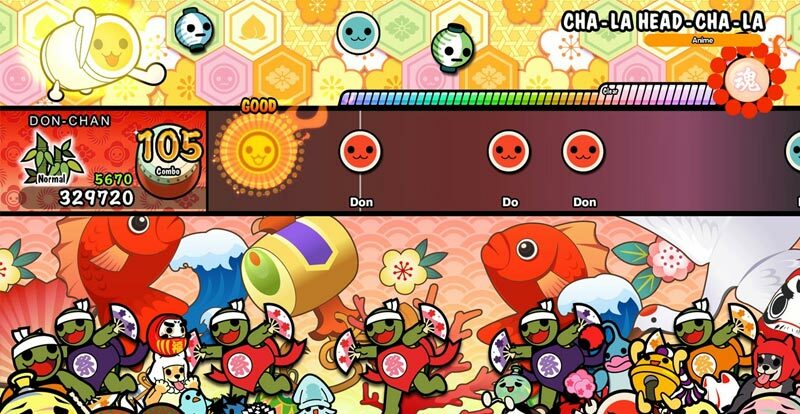 Unlike some rhythm games which can confuse with oodles of combinations of buttons and directions, Taiko no Tatsujin: Drum ‘n’ Fun! focuses on the last word in its name and keeps things simple and enjoyable. Red notes require a direct thwak of the drum, while blue ones require a rimshot. Where the real challenge comes in is in higher levels, and on faster songs. These are quite often no picnic (despite there generally being sushi most everywhere). As for songs, some 65 are included with 10 more unlockable via progress. 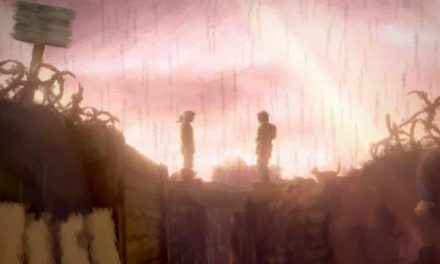 These run the gamut of all manner of anime tracks from the likes of Dragon Ball Z, to classical pieces, music from the world of Studio Ghibli and, what will be the kicker for some, songs from Nintendo games such as Super Mario Odyssey and Splatoon. The Ninty love also spreads to in-game characters such as Kirby and others. But we love Kirby, so Kirby it is! 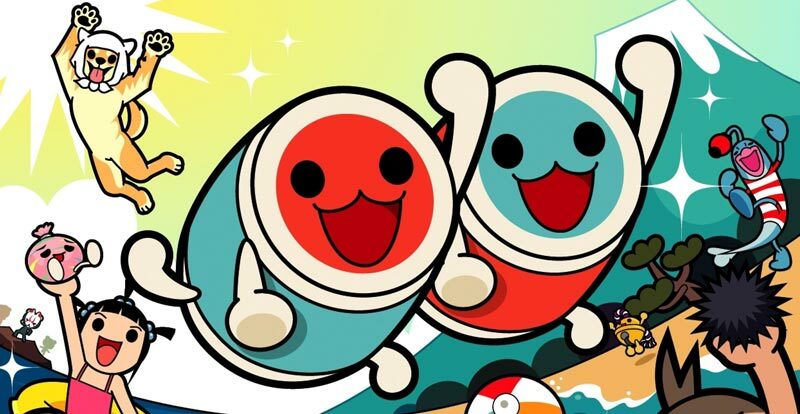 Relentlessly bright and unceasingly fun, Taiko no Tatsujin: Drum ‘n’ Fun! proves why the arcade series has stuck around for almost two decades now. It’s easy to pick up, a joy to play and a trip to watch. Taiko no Tatsujin: Drum ‘n’ Fun! is available now exclusively for Nintendo Switch. 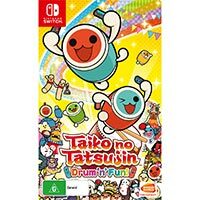 Tags: Review, Taiko no Tatsujin, Taiko no Tatsujin: Drum 'n' Fun!